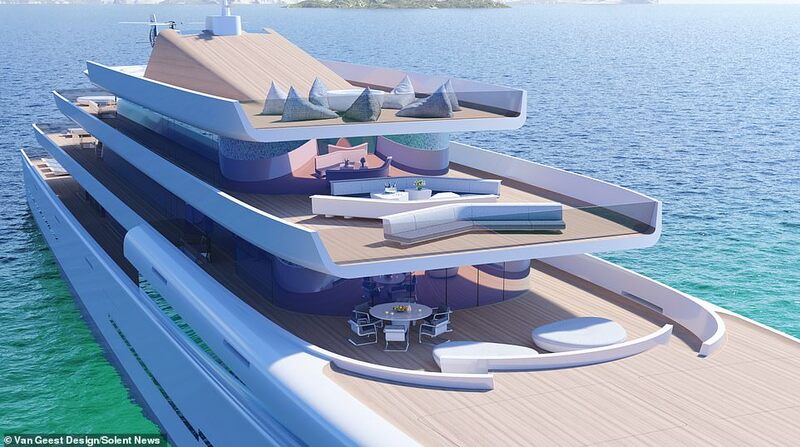 Plans for an ‘invisible’ superyacht which blends into the sea and makes those on board feel like they are ‘floating on air’ have been unveiled. 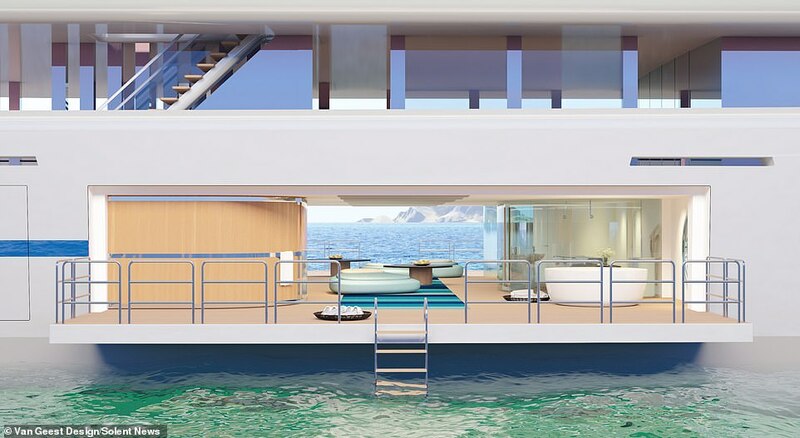 The 106-metre Mirage, which could cost as much as £200million, will be completely clad in specially mirrored glass which reflects the image of the sea back to onlookers. 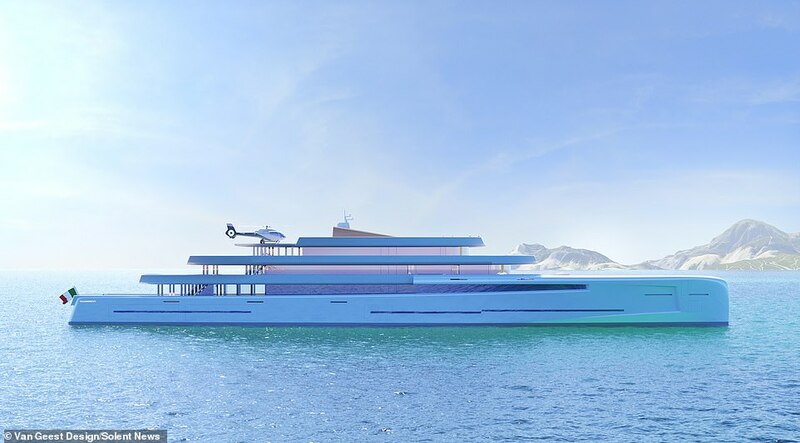 This will make it look as if the 4,200-tonne vessel has ‘vanished’ to people from as little as 50 metres away – though any radar will still detect the yacht with plenty of time to manoeuvre. Meanwhile, the yacht’s own radar can also look out for smaller boats on a collision course, giving the captain time to take any evasive action. Designed to be the ultimate purchase for privacy-hungry billionaires, Mirage comes fully equipped with a helipad, spa, outdoor theatre and cinema. The six-decked craft can sleep 14 guests and 29 crew members, and can cruise at a comfortable speed of 19 knots. 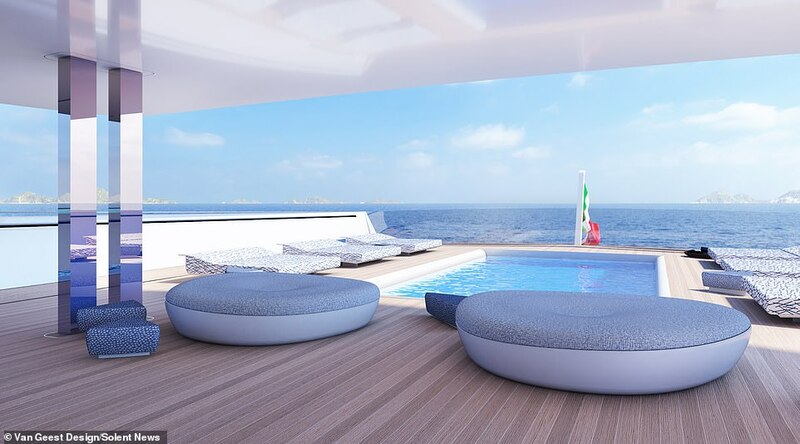 It was developed by Italian boatbuilders Fincantieri and Dutch firm Van Geest Designs to ‘disappear between water and sky’ and ‘blend into the horizon’. Designer Pieter Van Geest said it had taken a year to develop the blueprints and would take another three and a half years to construct. ‘The longest part was researching the reflective glass and how it would be built,’ he said. 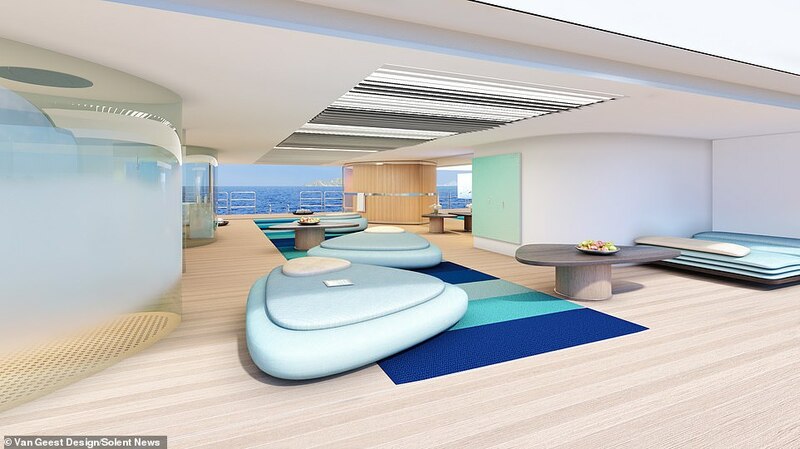 ‘The main reason in designing this yacht was to make something that belonged to its environment. 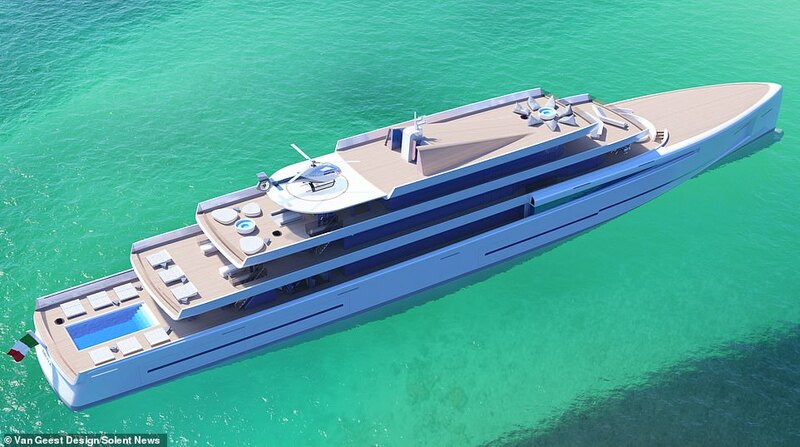 ‘Most yachts nowadays stand out and break the horizon or the landscape, in a way, we have tried to minimise this effect. 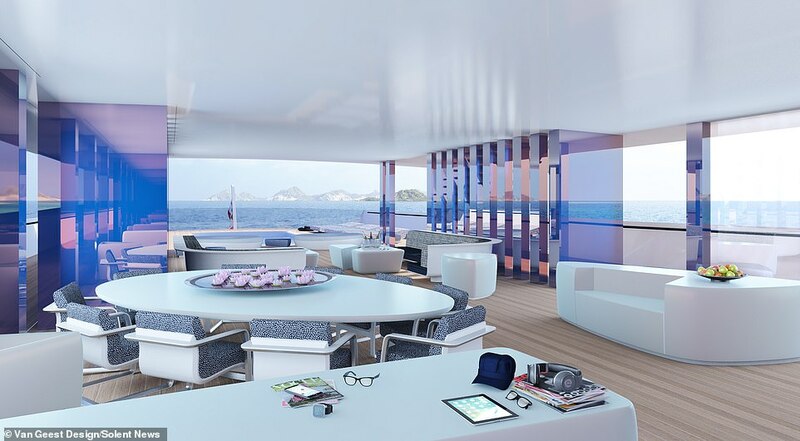 ‘The colour variable mirrored glass is developed by a German glass manufacturer, which has never been used on yachts before. 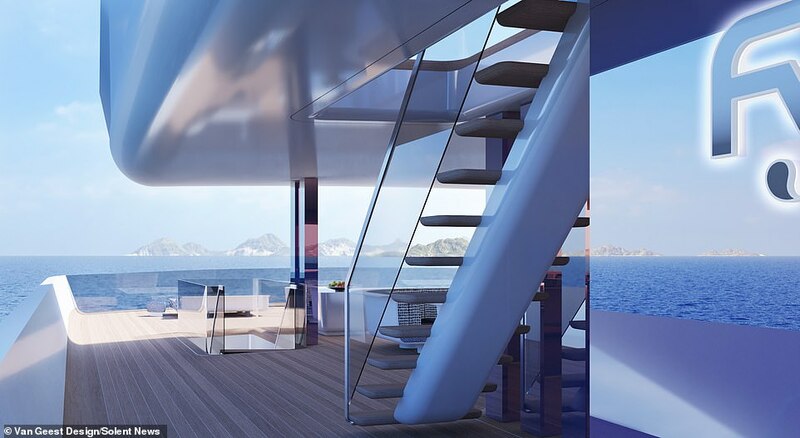 ‘All the vertical panels on the yacht will have this finish. If you were on the water it would probably be invisible from over 50 metres away. 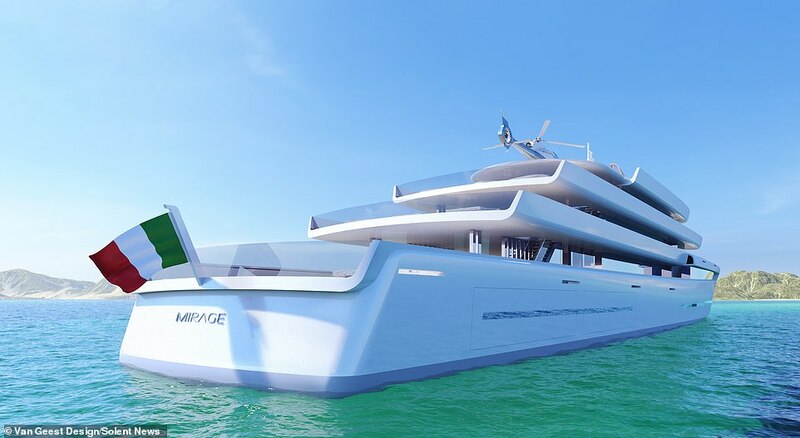 Mr Van Geest declined to put a price on the Mirage, but maritime experts suggested £200million would be reasonable for such a unique, luxury vessel. 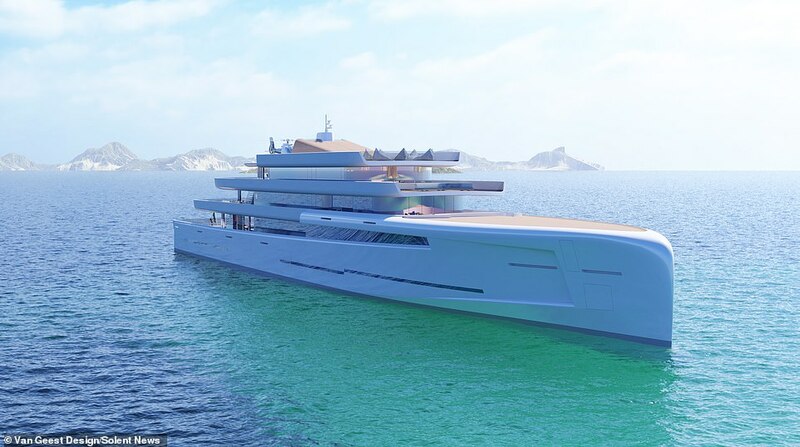 If that was an accurate price tag it would place Mirage in the top 10 of the world’s most expensive yachts. The list is currently topped by the £4billion History Supreme, which is made of solid gold and owned by Malaysia’s richest man, Robert Knok. This entry was posted in Boats, Cool stuff, Home, Tech stuff. Bookmark the permalink.